Mr. Kazi Zahedul Hasan, an architect/engineer, obtained his M. Arch. degree from Harvard University in the USA. He was a professor of the Department of Architecture at Bangladesh University of Engineering and Technology, Dhaka, and in the School of Environmental Design, King Abdul Aziz University, Jeddah, Saudi Arabia. He has extensive experience as an architect in the USA and Saudi Arabia. He is a member of The American Institute of Architects as well as the Royal Institute of British Architects. Mr. Hasan was founder and Managing Director of Kazi Fashion Limited for almost twenty years, until selling it in 2002 in order to focus on poultry. He is the founder and Managing Director of Kazi Farms. Dr. Perween Hasan, wife of Mr. Kazi Zahedul Hasan, received an M.A. in English from Dhaka University, and another M.A. and a Ph.D. (History of Fine Arts) from Harvard University. USA. Presently, she is a professor at Dhaka University. She is a Director of all companies in Kazi Farms Group. Mr. Kazi Zeeshan Hasan obtained his B.A. in Economics from Oberlin College, USA, his M. Theological Studies from Harvard University, USA, and an his M.Sc. (Management of Information Systems) from the London School of Economics, UK. He is a Director of Kazi Farms Limited and its sister companies, where he is directly involved in overseeing management of sales and raw materials purchases. He has received training in feed milling and raw materials evaluation from Cargill Indonesia. Mr. Kazi Zahin Hasan obtained his B.A. (Economics) from Oberlin College, USA, and his Master of Public Administration degree from Columbia University, USA. He is a Director of Kazi Farms Limited and its sister companies. He has been responsible for the production operations of Kazi Farms Group for the past ten years. 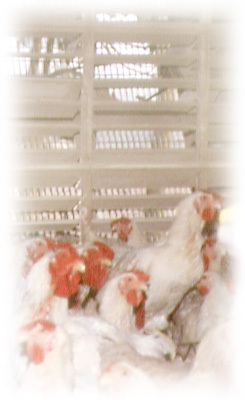 He has received training in poultry in the U.S.A. and Thailand.